Once again this year, we will be offering FREE seminars given by nationally and regionally know speakers. John Oast and Juan Veruete - John is owner of Susquehanna Fishing Magazine and Juan is owner-guide of Kayak Fish PA, LLC. Both are renowned Kayak fishing enthusiasts. Gordon Brady – Owner of B&B Lures of Hanover. 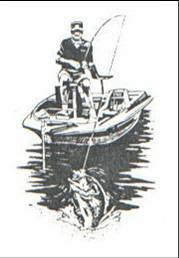 Lake Marburg expert and 30 yrs of tournament fishing experience. Capt Jeffrey Grimes – Helbent Charters of Ocean City, MD. USCG Licensed Captain Jeff Grimes has been fishing the waters in and around Ocean City MD. for 16 years. Coast Guard Auxiliary – Will be on hand both days and present a seminar. Tony Dranzo – The Addicted Angler, Life long experience in finding fish in local streams and a down-to-earth approach, Tony presents the tactics needed to catch a particular fish in simple and understanding terms. 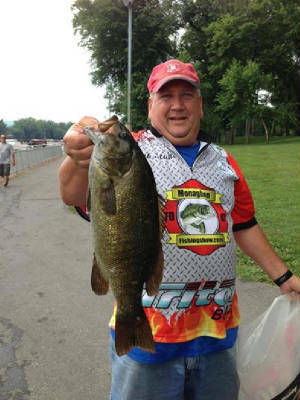 Ernie Watkins – PA BASS Nation youth director and President of Central PA Bassin. Will present seminar on youth clubs, high school bass fishing and what PA BASS has to offer adults. Rod Bates – Owner of Koinonia Guide Service. Rod has a lifetime of experience fishing the Susquehanna River and will share that knowledge with you at the show.